If your kitchen pantry has been adopted as home by a pesky and persistent family of little moths — and you have unsuccessfully tried everything to get rid of them — then you are familiar with the amazing Indianmeal moth. You may not like it when we use a word like “amazing” to describe these irritating invaders which have been ruining your spaghetti, littering your flour and gnawing your soda crackers. But one can at least recognize that they are an incredibly resilient adversary. Yes, that’s right, Indianmeal moths eat their own young. You would think these pests would be getting enough chow from your cupboards, but they also like to eat each other. Specifically, they like to eat their own children. These moths are known to eat the larvae of their fellow moths — and given a choice, they prefer to eat the larvae of their own siblings! This is a break from other species that practice cannibalism. 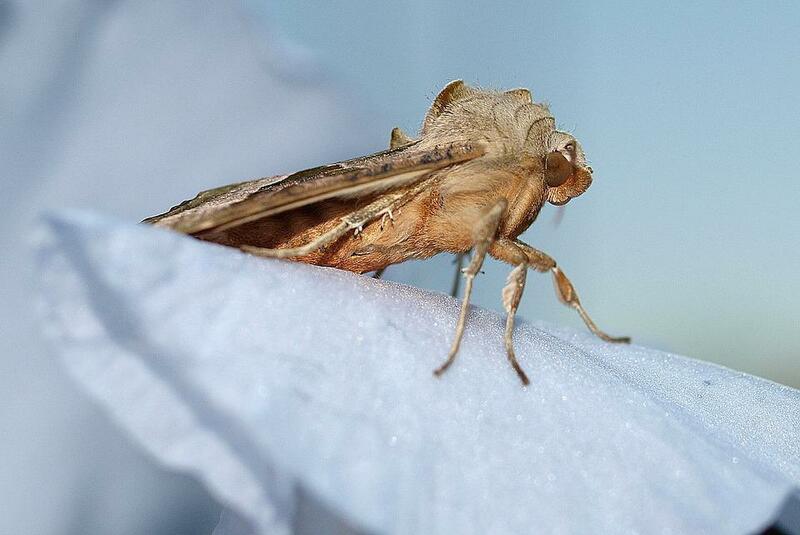 However, Indianmeal moths actually prefer to lunch on a brother or sister when they can. When an Indianmeal worm hatches from its egg, it becomes a little worm called a larvae. After it feeds, it sheds its skin and becomes another slightly bigger larvae. These stages are called “instars.” Indianmeal moths go through an incredible five to seven instar stages before finally getting their “angel wings.” They use these wings to find a mate. Of course, they also flutter about your house to bug you even more. So when you see one of these moths lilting about your kitchen, you know it has achieved a lot to gain that final airborne form. Indianmeal moth larvae can readily chew through plastic bags or cardboard containers. A sealed plastic bag of rice is no problem for these hungry critters. Scientists say these worms have a microorganism in their gut that can biodegrade polyethylene. Because of this, researchers are excited about the potential for meal worm larvae to deal with the world’s plastic pollution problem. The sexual reproduction protocols of the insect world tend to be the stuff of nightmares, and the Indianmeal moth is no exception. Ther females like to mate multiple times and with multiple partners. Furthermore, the males seem to know which females have “slept around” the most. They prefer to mate with females that have had a lot of partners, and they show that by ejaculating more sperm into promiscuous females than those who have been more reserved. When we say cats “love” Indianmeal moths, we mean they love to chase them, catch them and eat them. Clearly, cats have been observed to relish the flavor of the Indianmeal moth. All cat owners know how finicky our furry friends can be about food choice, yet they love to snack on these tiny pantry pests. Dogs are know to readily eat these moths, as well. It’s only unfortunate that they don’t eat a lot more. The primary natural enemy of the Indianmeal moth is a tiny wasp called Habrobracon hebetor. It uses the moths as a breeding vessel for its own larvae. The wasp injects its gut enzymes into the moth. These enzymes eat the moth’s blood proteins which causes death. Wasp larvae then form and continue to eat their moth host. But an interesting side issue is that this wasp has been found to be amazingly resistant to the harmful effects of radiation. In fact, Habrobracon hebetor might easily survive the radioactive environment of a post-nuclear apocalypse! Incidentally, the time it takes an Indianmeal moth to go from egg to full adult stage is about 55 days. Its only goal then is to mate. After it does so, it usually lives for a few more days and dies of old age — which for this moth is 10 to 14 days.